Numbers are not the only way to determine church health. In many situations, they’re not even the best way. If numbers aren’t the only way to tell if a church is healthy, what else is there? I get that question a lot. Mostly from other pastors. And no, they’re not being facetious when they ask it. They truly don’t know the answer. Isn’t that … I don’t know … a little disturbing to anyone? 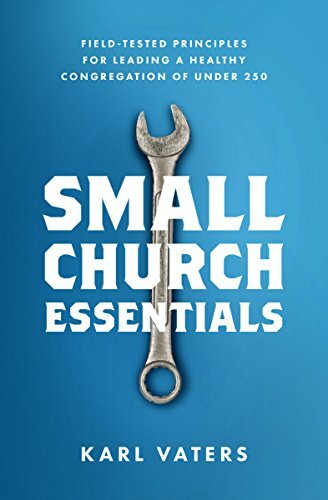 Have we really become so obsessed with statistics that many pastors don’t know what a healthy church looks like, outside of crunching the numbers? It’s not that I’m not opposed to taking church attendance or tracking our numbers. I’m in favor of it. Accurate, relevant statistics can help us see things objectively that we might otherwise be blind to. But just like a lack of numbers can blind us to some critical facts, an obsession with numbers can blind us to essential truths. Not only are numbers not the only way to determine church health, in many situations they’re not even the best way. Numbers may inform us, but they don’t define us. So, what non-numerical criteria can we use to determine church health? I’ve been compiling a list. It started as 6 or 7. But it keeps growing. As of today, it has 28 elements. I’ve been waiting until the list was complete to publish it, but I’ve come to realize it will never be complete. So consider this a starter list.